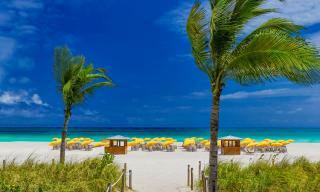 Listen to the waves crashing against the soft South Beach sand. Atlantic Ocean breezes provide a comforting touch to your sun-kissed skin. Embrace the South Beach lifestyle on your step-out balcony to catch a majestic sunset or soak up the sounds of the city. At the end of a busy day, calm your senses and hop in your deluxe 100% Egyptian cotton draped king bed.